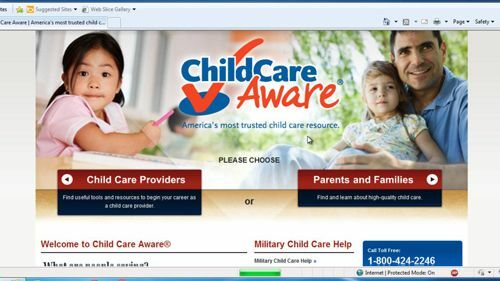 In this tutorial you are going to learn how to find child care online using a trusted site recommended by a government site. First you are going to need to navigate to the site “http://www.childcareaware.org”. This site will allow you to find a recommended child care facility near you, but also has a great deal of information for parents who are looking for child care. There is even a toll free number you can dial if you have any questions. 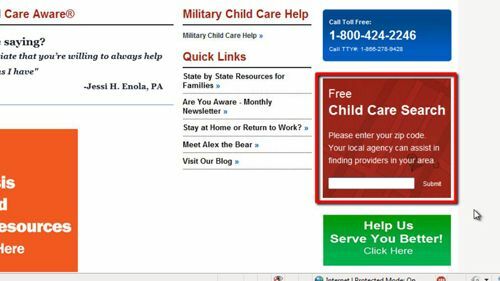 Scroll down the page a bit and you will see a red box that allows you to search for child care through your zip code. Enter you zip code into this box and press return. A page will load providing information about child care near you. As you can see there is a map showing you where the location is as well as information about the facility. If you want you can call them or visit their website to get some more information. If the location you find based on zip code doesn’t work for you, you can search using other parameters at the bottom of the page. 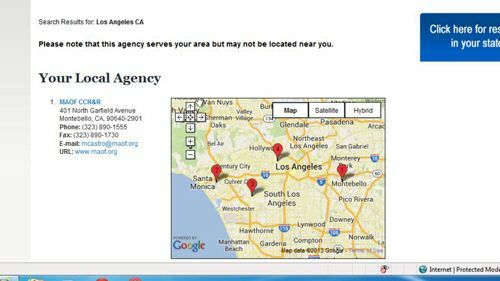 Here we are going to have a look at searching by city and state so click on that tab, enter the initials of your state and the city – this can produce some results that are less local to you, if you are looking for alternate options. Using this excellent website you can easily find child care online.